The 12th list of 11 candidates in Jammu & Kashmir, Karnataka, Madhya Pradesh, Maharashtra and Rajasthan was released by the BJP on Friday. 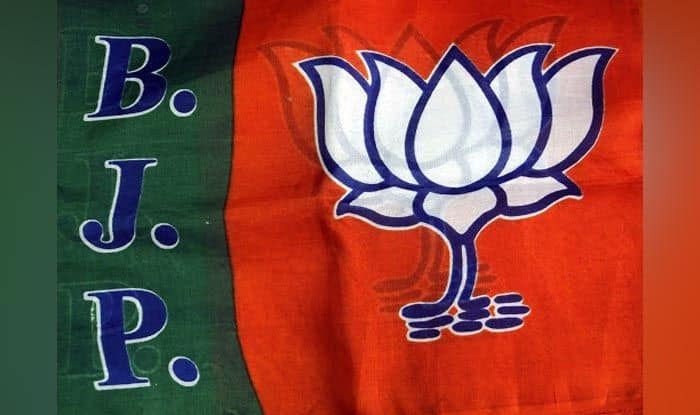 New Delhi: The Bharatiya Janata Party released the 12th list of 11 candidates in Jammu and Kashmir, Karnataka, Madhya Pradesh, Maharashtra and Rajasthan for the Lok Sabha Elections 2019 on Friday. Janyang Tsering Namgyal will contest from Lakakh in Jammu and Kashmir, Anna Saheb Jolle, Raja Amresh Nayak and Sanganna Karadi for Karnataka, Dhal Singh Bisen, Roadmal Nagar and Ganjendra Patel for Madhya Pradesh. Ranjeet Singh Hindurao Naik Nimbalkar will contest for Madha constituency from Maharashtra. Candidates who will contest for Rajasthan are Rahul Kaswan, Balak Nath and Kanakmal Katara. On March 26, the party released a list of 42-star campaigners for phase 1 and 2 of Lok Sabha elections for Bihar. Some of those on the list are Prime Minister Narendra Modi, BJP President Amit Shah, former Madhya Chief Minister Shivraj Singh Chouhan, Union Home Minister Rajnath Singh, Nitin Gadkari, Uttar Pradesh CM Yogi Adityanath, and Hema Malini. On March 24, the fifth list of 48 candidates, spanning the six states of Goa, Gujarat, Madhya Pradesh, Jharkhand, Himachal Pradesh and Karnataka was released. The list featured three Union Ministers namely Narendra Singh Tomar, Jayant Sinha and Shripad Yesso Naik and former minister Faggan Singh Kulaste. Tomar will contest from Morena Lok Sabha constituency in Madhya Pradesh while Sinha retains his seat of Hazaribagh in Jharkhand. Yesso Naik will fight from North Goa while Kulaste from Mandla (ST) in Madhya Pradesh. The list also featured some other prominent names such as Anurag Thakur who will contest from Hamirpur and Nishikant Dubey who will fight from Godda in Jharkhand. On March 22, the BJP released the second list of candidates for the upcoming elections. The party stated that Lalubhai Patel will contest from Daman and Diu Parliamentary constituency. Meanwhile, the voting for the constituency will be held on April 23 in phase 3 of the polling. On March 21, the saffron party released its first list of 184 candidates.